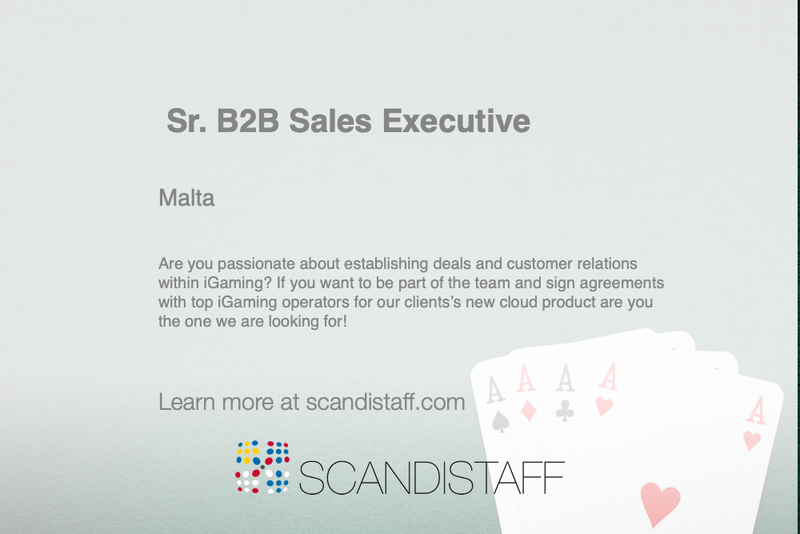 iGaming b2b sales executive malta | Excel your sales game! Our client is the industry leader within iGaming player reactivation and support services. Their newly developed cloud product serves the entire player lifecycle from A to Z and they are looking for someone that wants to introduce it and create new relationships with iGaming operators. As a sales executive, you will engage in talks with potential customers and inform them about the benefits and advantages of getting churned players back in action through the company’s cloud product. You will be managing the full customer acquisition cycle including initial outreach, contract negotiation and closure. Engage in sales meetings/calls with prospects and customers, driving and maximizing reactivation leads from Online gaming operators. Responsible for the achievement of monthly, quarterly and annual sales goals for new operator customers and reactivation lead generation from signed reactivation customers. Sell the company vision to customers on the benefits of reactivation and activation to continually ensure the volume of leads is consistent for the sales agents to work with. Continually develop new ways of lead generation to maximize the Sales funnel. Who is our new Sales Executive? We believe that you have several years of experience from B2B sales, some of them need to be from the iGaming industry. You need to enjoy creating and maintaining long-lasting collaborations with Tier 1 & 2 iGaming operators. Excellent command of the English language is required and any additional language skills are naturally considered as merits. Relocation assistance in case you and/if your family are located outside of Malta. Daily breakfast and lunch served in the office by the company chef. Complimentary maid service for your home. A fantastic opportunity to take your sales/account management career to the next level. Do you want to be the Sales Executive?